Whether you drive BMW or Nissan, our mobile professionals arrive on time and with everything they need to service your vehicle to the very highest professional standards. Our customers enjoy industry leading service standards from friendly mechanics who explain as they go which ensures that you understand what your vehicle needs and how we’re keeping it in top condition. In the last three months our 42 local mechanics been given over 17 positive reviews from our clients in Southwest Sydney. Don't need further service at this time. When changing parts it would be great to know if these are original or substitutes so user has some confidence on performance. Let us come to you. The easiest and most convenient way to ensure that you keep your service history up to date and on top of your car repairs is to have everything you need done at home, the office or wherever else you happen to be. 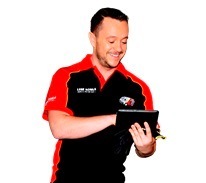 Our mobile mechanics are attending Blacktown, Mount Druitt, Parramatta and Penrith. We are everywhere and everywhen you need us to be. 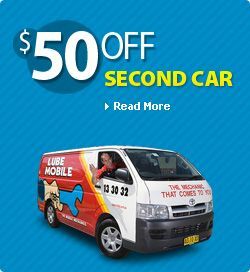 Lubemobile is Australia’s #1 fleet of mechanics servicing and repairing vehicles all over the country with over 1,041 vehicles attended to in your local area alone over the last 3 months. Regular vehicle services and jobs around your area have included Log book servicing. Our specialists have what they need to complete a full service and repair at your chosen destination including tyre replacement and specialty tyre related repairs, coolant temperature sensor adjustment and replacing spark plugs. The convenience of a mobile mechanic ensures that you are not out of pocket on time and money trying to arrange alternative arrangements when your car needs attending to. We arrive equipped at your preferred location, and that can be anywhere you like. Easier to have us service your Toyota at home? Or would you prefer your service on Holden to happen at work during the day? What is the easiest way to ensure that we attend your Ford in the most convenient way possible? Recently in your area we have attended to Volvo, Daihatsu and Citroen. Repairs and servicing took place all on site and the mechanic had what they needed right there and then like cylinder head, coil pack and leaf springs ready to go.